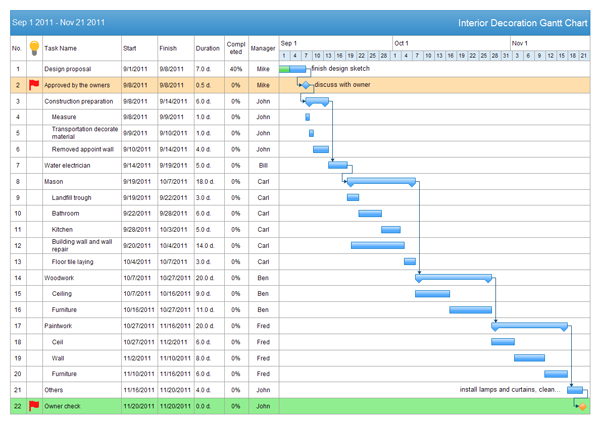 Edraw Project includes some free Gantt chart templates available for tracking project schedules. 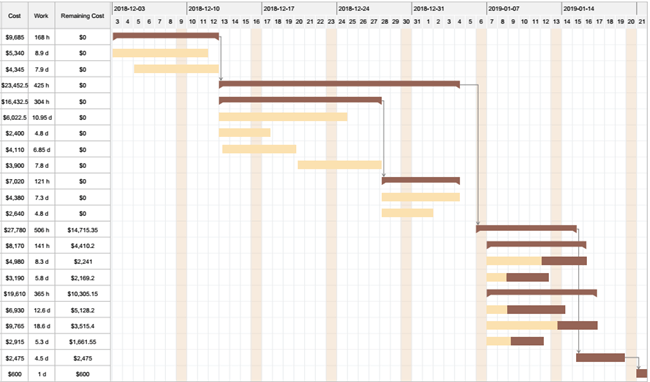 It is easy and quick to manage project on Gantt charts with your team. The general construction project Gantt chart template here shows you all the essential information you need, such as budget, group assignments, milestones, tasks priority, for a professional construction project. Feel free to try more project management options in the free download. 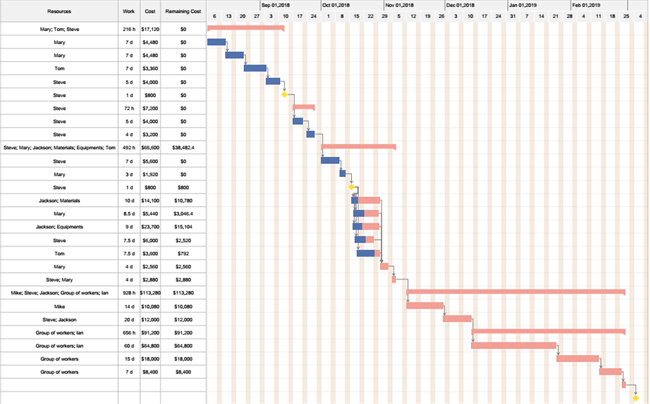 Quickly check out this interior design Gantt chart template for all sizes of in-house design programs. Just assign team members to specific tasks and track their progress with the detailed time-setting options. A free customizable interior decoration Gantt chart template is provided to download and print. Quickly get a head-start when creating your own Gantt chart. Whenever you need, download it, amend it and make it your own. Simply refer to this new market strategic planning Gantt chart template to assist you in building a productive business analysis and research team. You can try more advanced options including the financial report with the easy project management software. You can start your Gantt chart easily from the smart templates for project scheduling and management. The Gantt chart software supports to generate multiple perspective reports to analyze project progress, cost and resources status. Watch the Gantt chart video tutorial to create and share professional Gantt charts easily! What Is a Dependency in the Gantt Chart?